The most common type of pain that many adults experience is low back pain unrelated to a specific spinal defect or disease. Approximately 80% of adults will suffer from low back pain during their lifetime. Low back pain is one of the leading causes of disability. 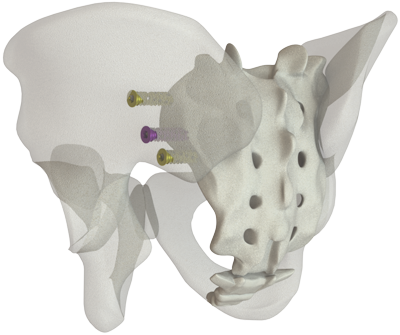 The SICAGE® System has been designed to provide a minimally invasive approach to treating sacroiliac joint dysfunction. The objective of this minimally invasive approach is to provide a short hospital stay and a quick recovery. 1. Diagnosis and treatment of sacroiliac joint pain. Sembrano, J.N. et al, Current Orthopaedic Practice, 22:4:2011, pp 344-350.